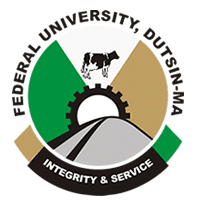 The Governing Council of Federal University Dutsin-Ma (FUDMA) hereby notifies the general public of the vacancy in the Office of the Vice-Chancellor. In accordance with the Universities (Miscellaneous Provisions) Act No. 11 of 1993 and the Universities (Miscellaneous Provisions) (Amendment) Act 2003 and other relevant regulations, and in line with the directives of the Council, applications are hereby solicited from interested and qualified candidates to fill the vacancy. FUDMA was established by the Federal Government in 2011 and is located in Dutsin-Ma, Katsina State. The institution is ICT-driven, envisioned to be a top ranking, world-class university, committed to excellence in research, teaching and learning as well as the production of generations of leaders with passion for service and nationalism. The Vice-Chancellor is the Chief Executive and the academic head of the University. He/she is the ex-officio Chairman of Senate and Congregation and a member of the Governing Council. He/she is to promote high standard of academic excellence in research, teaching and learning; regulate students’ admission, welfare and discipline; and be responsible to Council for the day-to-day management of the human, financial and material resources of the University. Be able to attract research grants and complimentary funds from local and international agencies, and uplift the academic status of the University. Possess personal integrity in the management of funds and be able to deploy financial resources as appropriate in the context of the University’s strategic plan. Demonstrate interpersonal and team building skills and possess the ability to build bridges between and among staff, students and members of the University and host communities as well as stakeholders. Be able to exhibit entrepreneurial drive and ability to attract extra-statutory funds and mobilize other resources for the development of the University. Should be in position to ensure the enforcement of the University’s laws and regulations. Be information and technology proficient and be committed to the development of ICT in the University. Be of excellent physical and mental health. Not be more than 65 years of age by 19th April, 2018. The prospective Vice-Chancellor shall hold office for a single, non-renewable term of five (5) years. The remuneration and conditions of service for the post shall be as applicable in Federal Universities in Nigeria and as may be determined from time to time by the Federal Government and the Governing Council. Candidates’ statements of vision and hope for the University should be attached to their applications. Interested and qualified candidates are required to submit thirty (30) copies of their applications attached to which shall be photocopies of credentials and comprehensive and up-to-date curriculum vitae (CV) duly signed and dated. The CV format acceptable can be ACCESSED HERE for compliance. Applications are to be received by the Registrar sealed, under confidential cover and marked “Post of VC FUDMA” at the top left hand corner of the envelope. All applications and referee reports are to be addressed to the Registrar, Federal University Dutsin-Ma, P.M.B. 5001 Dutsin-Ma, Katsina State, to reach him not later than 28th February, 2018.